We Live in a time where change and choice are the only true constants. New experiences, innovative technologies, instant access to information, and an abundance of choices are continually changing how consumers engage with brands around the world. With Gen Z and Millennials coming into their own, brands must understand motivations that influence them to foster brand connectivity and facilitate lasting loyalty. Focusing on data-driven insights and drivers to predict and motivate shopping, engagement, and loyalty behaviors, Perfumarie is a 360 retail lab, brand incubator, and management company that specializes in helping brands compete ahead of the curve. In addition to offering innovative strategies (the WHATs), Perfumarie is a growth hacking agency that also activate the HOWs. She feels invested in brands when they make her life easier, make her feel good, and don’t give her any trouble. Customer service and a good return policy are important when choosing which brands to shop. I hate when stores feel crowded. Shopping and loyalty are all about the experience. 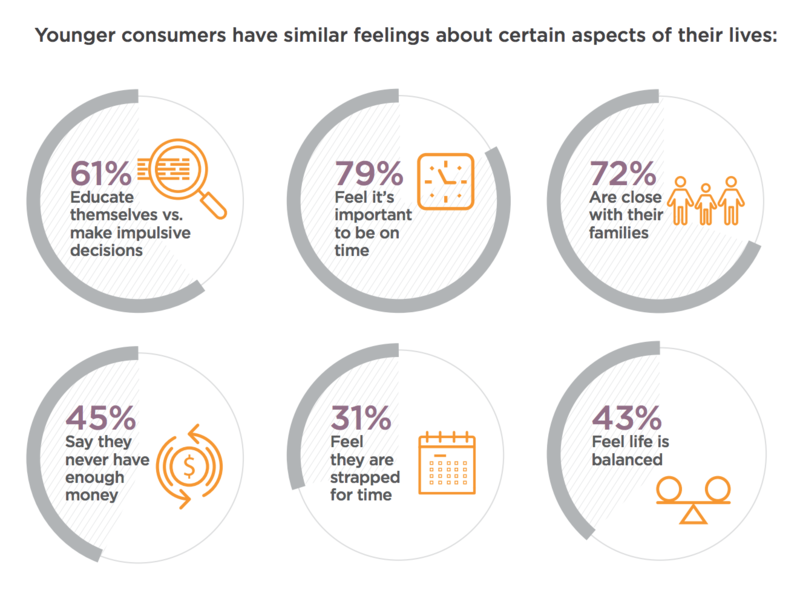 Being over Having: The new luxury consumer favors an ‘experience over ownership’. They truly believe in the YOLO (you only live once) theory and focus more on experiences rather than big-ticket product purchases. Personalization & Customization: Major expenditure shift is being diverted towards customization. Be it products, services, holidays, homes, experiences, content and or travel. Rising popularity of reality shows, Netflix-like web series, speciality restaurants, designer residences, bespoke clothing, footwear, cars and even weddings is growing evidence of such a phenomenon. Sharing over Owning: The sharing economy has never had it better. Luxury brands and products have had to struggle to keep pace with this growing phenomenon to avoid being sidelined. Why buy anything when you could share or rent an Uber, a wedding dress, a fully furnished apartment, a luxury sofa, and movies to even companions that would suit your mood / need / temperaments. Refurbished Luxury: For those who wish to have the feeling of their own ownership, reusable luxury has become an acceptable norm of the day. From just cars, this trend has now graduated to dresses, bags, accessories, home products and appliances, etc. Special websites have sprung up as aggregators, curators, refurbishers who on one side assist a bored owner to help liquidate and make space for a new purchase, while at the same time help another aspirant indulge in affordable high-end luxury. Green is the New Black: Sustainability, environmental friendly, compassion for other living beings is forcing luxury brands to go back to their innovation boards. Lab-grown diamonds, artificial furs, scientifically curated leather, sustainable building materials, energy efficient homes, solar powered lights, etc are slowly but surely replacing animal skins, fox furs, mined diamonds, traditional building materials and energy guzzler appliances. Craft over Brand: No longer can a luxury brand sell itself by pure brand appeal. While branding plays its own role and is crucially important, the young ones question the necessity of paying extra just for the brand value. The craftsman, detailed crafting, rare techniques, handmade, uniquely rare creations that emit emotions, story and feelings is the order of the day. Online Luxury Continues to Grow: More and more luxury sales are taking place online and could make a significant impact on physical store sales in the longer term. Luxury online sales jumped 24 per cent in 2017, reaching an overall market share of 9 per cent. Bain & Co estimates that by 2025, online sales of personal luxury goods will make up 25 per cent of the total market. The Future of Luxury Fashion: While leather goods have always been a benchmark of the beta luxury consumer, the availability of top quality leather being scarce, luxury brands are finding ‘fishy alternatives’. For their collections and fashion shows, John Galliano, Prada, Christian Dior, Louis Vuitton and Salvatore Ferragamo are all sourcing fish skin at premium prices from Atlantic Leather, a UK-based fish skin specialist company. I keep a close circle of friends and appreciates an open mind, patience, and understanding. Culture is not just want people do. It’s also what people say they do. Sneakerisation of Luxury: Leading and supporting the forefront of this ‘streetwearification’ of luxury is also the trend aptly named as ‘sneakerisation of luxury’. Global sales of sneakers — or trainers — rose 10 per cent to 3.5 billion euros last year, outperforming a 7 per cent rise in handbags, according to consultancy Bain & Co. From red carpet to Oscars, from Louis Vuitton to Gucci, all luxury brands have now invaded the ‘sneaker culture’. Sneakers with suits, sneakers with dresses, even sneaker stilettos heels! Perfumarie works with the industry to create thoughtful connections for R&D, PR, or ROI both online and offline. Consumers experience a new perspective in our multi-sensory world, as a result, and enjoy a rare access to be cool, learn and collect economically. ‘See Now-Buy Now’ to Capsule Collections: In order to try restricting the influx and invasion of fast fashion brands into the luxury domain, traditional luxury brands introduced concepts like ‘See now–Buy now’ a few years ago. However, the latest experiment by Burberry is around the concept of ‘capsule collections’ where smaller doses of fresh collections will be added to the stores regularly. Convenience is very important to me. It’s easier if I can see how things go together so I can make a quick decision and finish shopping in one trip. Our lives are measured in moments. At Perfumarie, we celebrate defining moments* and create new ones. Experiential Luxury: With experience being supreme, the physical retail has tried to keep pace with the digital onrush by bringing in aspects of virtual reality, augmented reality to on-demand luxury. 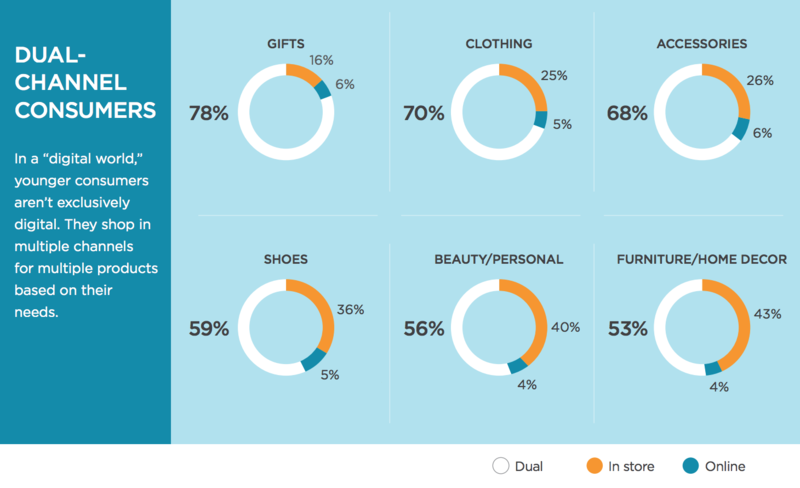 Menswear retailers offer more than just clothes — from coffee to a soothing drink to a salon to a meal, the men are pampered with their favorite relaxant while sales may or may not occur. On the other hand, hotels, travel locations are offering virtual reality enabled appeal of five senses where one’s hotel room could convert from a beach to a mountain top environment at the push of a few buttons. We work with brands to engineer customized triggers to give shoppers a sense of control and confidence by seeding, activating, and measuring the results. Rise of the Selfie Culture: The rise of this self-obsessive, look-good-all-the-time culture so driven by the self-obsessed selfie generation has turbocharged the sales of beauty, perfumes, cosmetics and skin care products. ‘Phygital’ is the New Retail: From omni-channel retail to now ‘phygital’ retail, the humble shop has taken a quantum jump in evolution. Shoppers being offered a seamless experience with no human interaction is the order of the day. No long queues, no sales pitch, no cashiers — ‘just pick and go’ is now a reality. From Amazon go in Seattle in the US to a WatAsale store in Kochi, India, the surreal, cashier-less, checkout-free store is now a reality. Luxury brands have so far adopted features like ‘a magic mirror to entire product history’ to iPad-based checkout to 3D size scanning, etc. The days of the seamless luxury store are not far away either. A modern take on wellness, self-care, self development AND a community-based businesses, Perfumarie is hyper focused on the human side of analytics. Our transparent and inclusive world celebrates people, unite businesses and give them superpowers. Affluence = Connectivity: Last but not the least, rising affluence and supersonic connectivity has changed everything. Luxury is no longer about the super car, or the dream holiday or the designer handbag as is still desired by but remains elusive to many. After all, supersonic connectivity ensures all these or more on hassle-free on-demand service. Rising affluence and the amazing lifestyles made possible by connectivity have shifted the frontiers of luxury. Perfumarie is the only company that unlocks walled-garden data to empower marketers to target and expand their customer base. Our global panel tracks feedback and purchase intentions each day to deliver insights from every consumer action. Perfumarie creates opportunities for smart, immersive connections and disrupts the market by architecting new holistic ways to do business. Together, we activate the trends to lead and understand change ahead of the curve. Scalable and dynamic, change the rules of retail with us. All quotes are from Mindy Yang, Founder & CEO of Perfumarie, Inc. Copyright 2018. Sources: Coolhatcher, BW Luxury, Bain & Co., & WGSN.